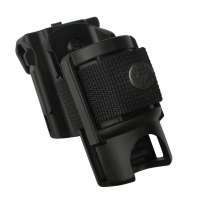 We propose for your professionnal and individual equipment, holsters and holders with professional quality already used daily by a wide range of armed forces as well as the general public all around the world. These holders are specially designed to allow a pleasant and comfortable safely wearing, while allowing a very fast exit of the material. They are produced in a high-quality plastic version, in nylon CORDURA® or leather and in different models, fixed or swivel with several possibilities of holding on the belt. These models of tactical holders are proposed to you with various systems of rapid insertion patented for wearing on a belt or tactical vest with the M.O.L.L.E system. 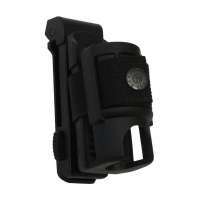 Holder & Holster There are 100 products. We propose you cases for Pepper Sprays & Spray Flashlights of high-quality. They are produced in high-quality plastic version, in version nylon, and in different, fixed or swivelling models with the possibility of carrying them in the belt. We also propose you double models allowing to fix the Pepper Sprays & Spray Flashlights, as well as a lamp or an Expandable Batons. All our cases allow a very quick drawing of the Pepper Sprays & Spray Flashlights just with one hand. 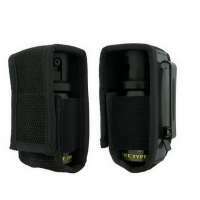 We propose to you in these category different models of holders for Tactical Police flashlight of high quality. They are produced in plastic version of high-quality, nylon version or leather version and in different models where fixed swivel with several options held in the belt. We also offer double models to fix the flashlight, a expandable baton, a pepper spray or a magazine 9mm. All our holders allow a very fast output of the lamp. We propose to you in this category multi housing holders, fixed or swivelling, designed to be able to carry on the belt or Tactical Vest without gene throughout the day a large number of textiles handcuffs, and different professional holders made in Cordura nylon, intended for most types of metal handcuffs. 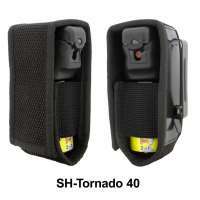 We propose to you in this category high quality Holders and Holsters for Stun Guns & Tasers. 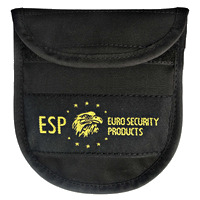 They are produced in nylon Cordura version, high quality plastic version or very resistant leather and in different models, fixed or swivel with the possibility of carrying the baton on a belt or to a tactical vest safely. 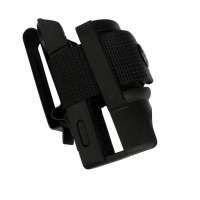 All our holders and Holsters enables a quick drawing of the Stun Gun and they can be alternatively fastened also to the supporting M.O.L.L.E. system. 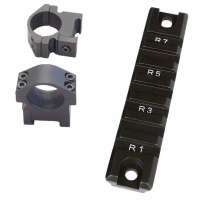 We propose to you in this category high quality Holders for Tonfas. All our holders allow a very fast baring the Tonfa. We propose you double holders for expandable baton, tactical police flashlights, pepper sprays, spray flashlights, as well as for magazines, specially studied to allow a very fast dégainement of the equipment. They are produced in high-quality plastic version, in version nylon or leather, and in different models, fixes where revolving with several possibilities of holding in the belt. These models of double or special holders are proposed to you with various systems of rapid insertion patented and completely compatible with the system M.O.L.L.E. We offer tactical holders for your professional equipment, as well as for your personal accessories (smartphone, gloves, radios, helmets, etc ...).